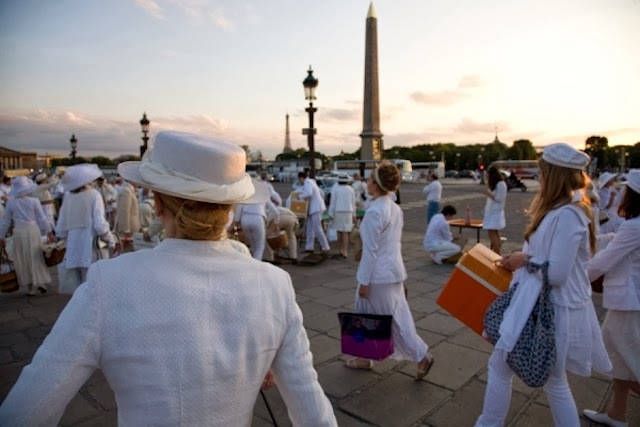 Have you heard of the world-wide francophile phenomenon Le Dîner en Blanc? The premise is actually quite simple. A gorgeous meal shared with good friends. A stunning vista in a public location. Invitation to friends and by "word of mouth" only. Good food ... good wine. 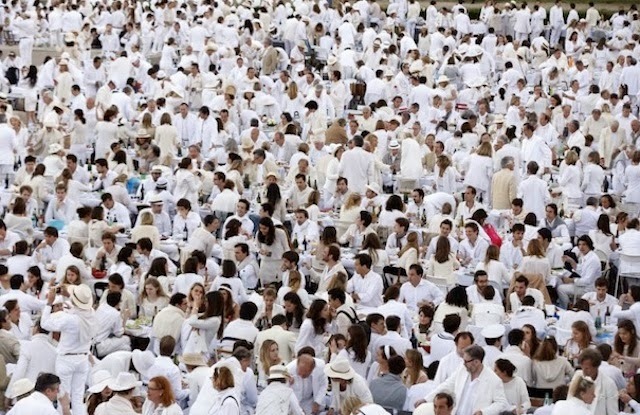 Everyone dressed in white. Magic! 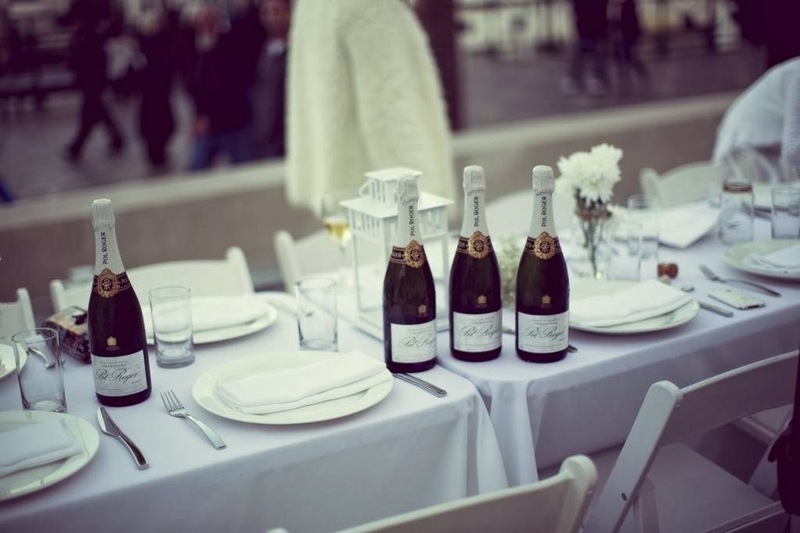 Everything is brought by the guests: chairs, tables, glasses, everything for the feast. And the public space is left as it was found, everything taken when they leave, as if they were never there. As much care is taken with the all white table setting as with the all white outfits. 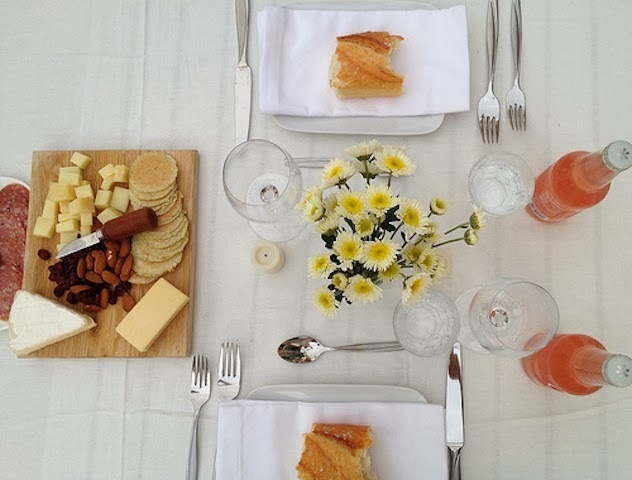 Diners bring candelabras, china plates and their epicurean feast. 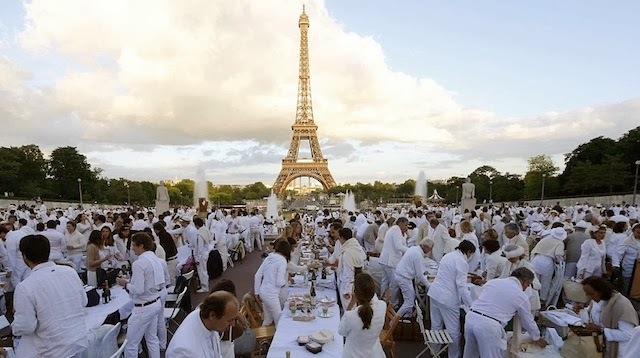 So the story goes, 25 years ago on returning to Paris after years abroad, François Pasquier asked his friends meet for a large reunion dinner in a public space - and to dress all in white so they could find each other easily. It was such an enjoyable night that it started a 'word of mouth only' annual catch up between friends, and from there it grew. 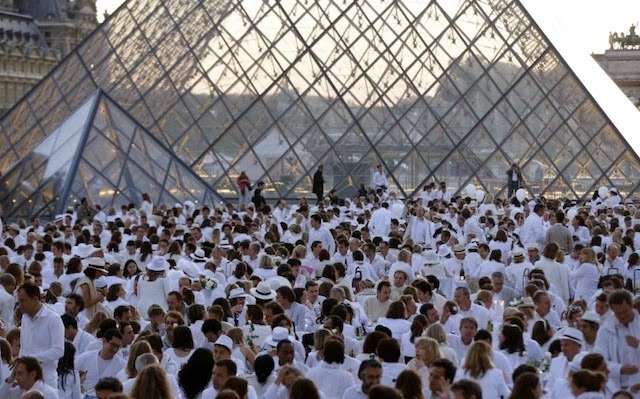 So large in Paris now that it is staged in two sites simultaneously! 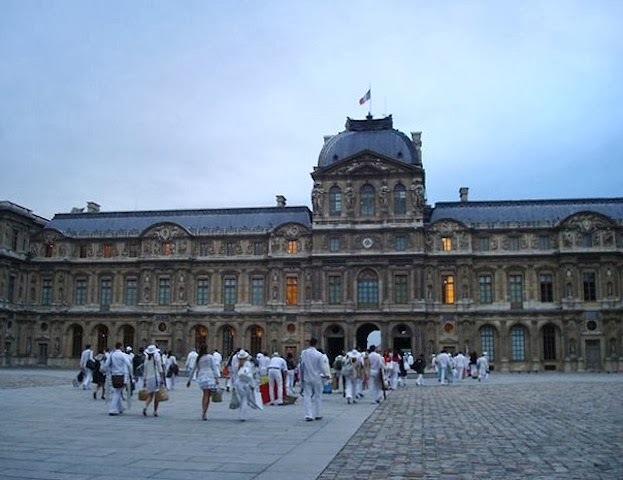 And has graced many iconic venues around the city from the Louvre to Notre Dame, from the Eiffel Tower to the Champs-Élysées to name a few. 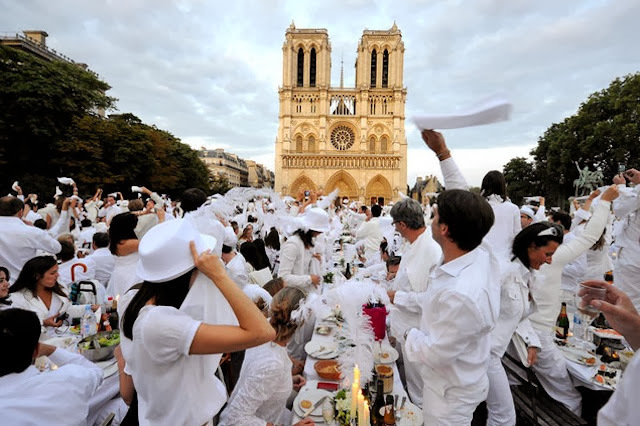 Although it started in Paris 25 years ago, Le Dîner en Blanc is now a world-wide phenomenon. When his son moved to Montreal, Canada in 2009 the traditional annual white epicurean feast was exported with him, and from there to New York and then around the world within a few years! But it is the ticket that money cannot buy: you have to know someone on the list to be able to join the festivities. Registration is over three phases for this prestige picnic: first round previous members and "friends of the organisation", second round is "friends of friends" recommended from phase one, and only in phase three can you get a shot at an invite from a first-come-first-served waiting list! 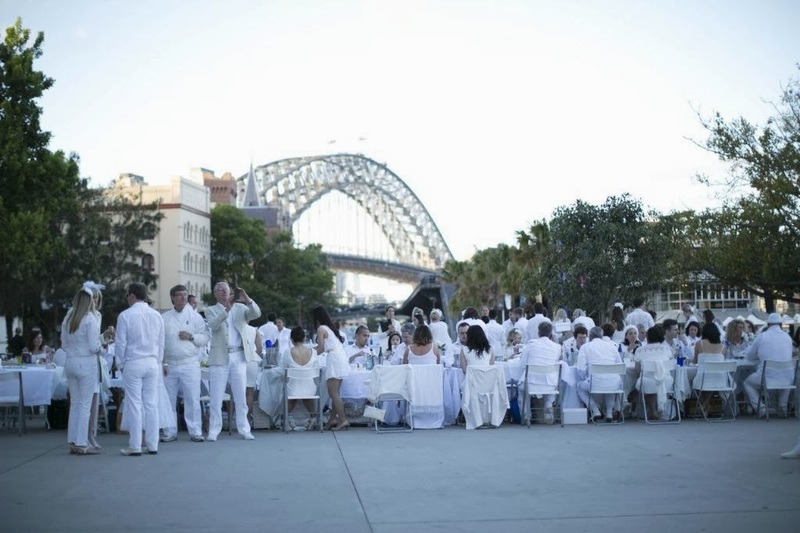 And tonight it will be Sydney's second turn to host the all white spectacle. And where will it be? Well, that is always a closely guarded secret right up to the end, with only table organisers to give out details to their table once they themselves have been told - usually only an hour before. In Sydney, buses are organised from several locations around the city, to bus the guests to their secret location tonight. It's the ultimate in 'pop-ups'! Have you been to one in your city? Or are you on the exclusive Paris list? ... and willing to invite this francophile blogger to next years? I would fly around the world in a heart beat to join this fabulous event!